There are a lot of people who never thought they’d see the day venture capitalists would funnel millions into femtech businesses, direct-to-consumer tampon retailers no less. But that’s our new reality and Cora is proof. 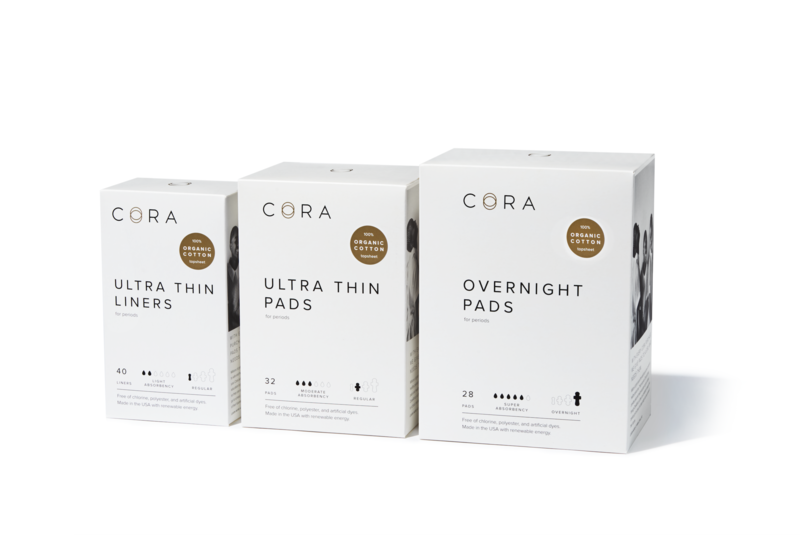 San Francisco-based Cora, which develops and sells organic tampons, pads and other personal care products, has just closed a $7.5 million Series A led by Harbinger Ventures. Cora is one of many femtech startups to raise funding this week alone, in what is turning out to be a red-hot year for VC investment in the space. Femtech, defined as any software, diagnostics, products and services that leverage technology to improve women’s health, has attracted at least $241 million in VC funding so far this year, according to PitchBook. That puts the sector on pace to secure nearly $1 billion in investment by year-end, greatly surpassing last year’s record of $650 million. For more historical context, startups in the space brought in only $62 million in 2012, $225 million in 2014 and $231 million in 2016. The four-year-old startup operates a little differently than your run-of-the-mill D2C company. Like TOMS, the popular footwear brand, Cora donates a month’s supply of products for every month’s supply sold. To date, Cora has donated 5 million pads to girls in India and Kenya and 100,000 products to women in the U.S.
“To me, [Cora] was this incredible, holistic opportunity to change the way that women experience their period,” Hayward said. Investors must be excited about Cora’s growth. Though she didn’t disclose specific numbers, Hayward says the brand has expanded 400 percent year-over-year, a metric they are expecting to sustain with this new bout of funding. Cora’s products are sold on a subscription basis, with prices ranging from $8 per month for six tampons to $16 per month for 24. For those unfamiliar with the costs of such products, $8 for six tampons comes at quite the premium. A box of 50 Playtex tampons, for example, retails for around $9. In Cora’s case, customers are shelling out extra cash for millennial-inspired branding, a soothing unboxing experience and a general ease of access to its products, as well as Cora’s organic, hypoallergenic and compostable materials, which aren’t characteristic of many similar products on the market. Cora plans to use the capital to put more of its items in Target stores, where it already sells its tampons and pads, and expand its portfolio of products. As part of the funding, Cora has added three more women to its board of directors: Harbinger founder and managing partner Megan Bent; Lisa Bougie, the former GM of Stitch Fix; and Andrea Freedman, the former chief financial officer of Method. Its board is now 80 percent female. DANGOTE CEMENT PROMO IS HERE AGAIN.BUY DIRECT FROM THE FACTORY AT A PROMO PRICE OF 13OO NAIRA PER BAG AND HAVE IT DELIVERED TO YOU ANYWHERE IN NIGERIA. CONTACT THE MARKETING MANAGER (AL-KASIM ABDULLAHI) ON 0810 104 7458 FOR PURCHASE AND ENQUIRIES.